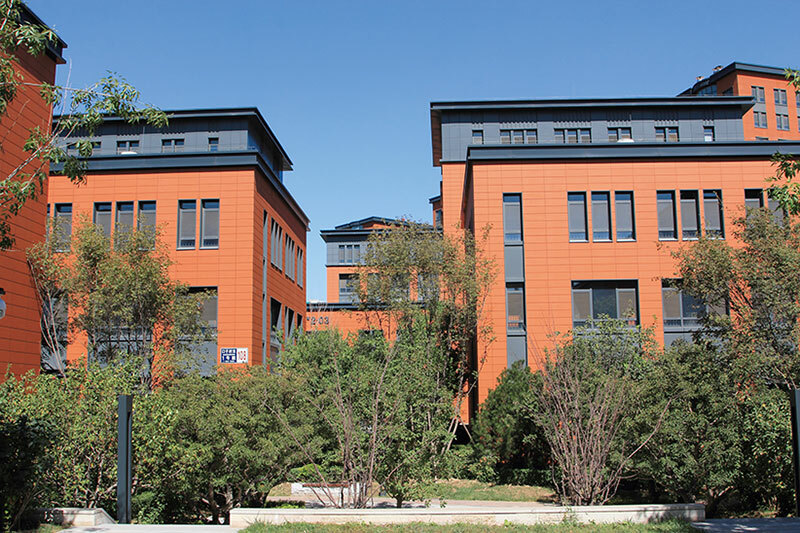 Wisdom Space Beijing Taihu Creative Plaza is located in Taihu Town, Tongzhou District, Beijing. With a total construction area of about 360,000 square meters, it is a creative industrial park that integrates science, technology, new media, creative design, publishing and other cultural and creative industries. The park covers single-family low-rise and multi-story office buildings, such as detached office buildings, incubators, and R&D centers. The park is divided into three phases. The first phase has been fully delivered in 2015. The second phase of the project, Qiyuan has been basically completed and is currently ready for sale. The second phase of the project is a single-unit, sloping garden-like building with an area of 700-1500 square meters. Slopes of various height in the garden are quite natural and form an intertwined three-dimensional landscape, which achieves natural harmony between the architecture and landscape. The second phase of the project still follows the German style of the first phase. The overall architectural design creates a minimalistic, practical and comfortable business space. Strolling through the park, the buildings are well-arranged so that each building enjoys plenty of light and open public areas. 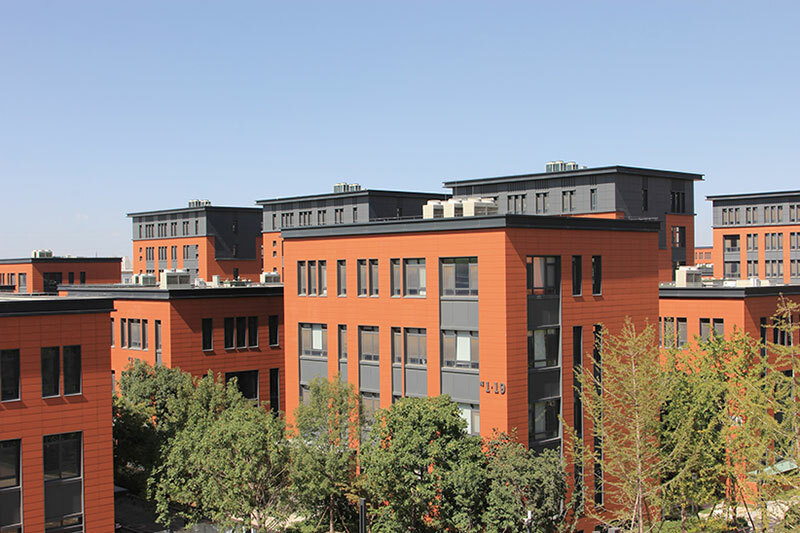 The building's facade adopts a slightly shorter (600-900 mm) dark red terracotta wall panels, rendering a well-structured and simple impression. It is a good fit for small buildings. 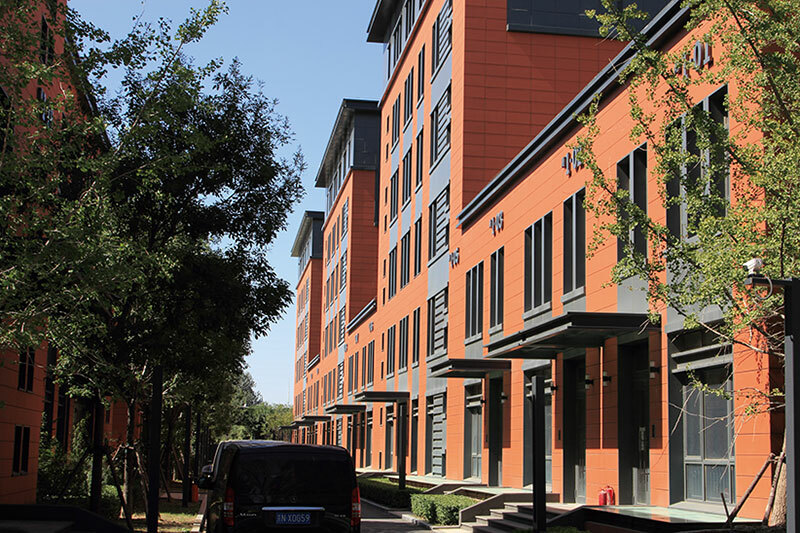 With red being the main hue, terracotta panel curtain wall is matched with dark gray aluminum alloy doors, windows and eaves. The project demonstrates a calm and low-profile business style as a whole. 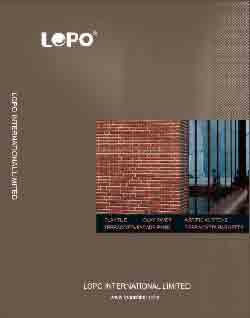 LOPO China is the supplier of terracotta facade for both phase 1 &2 of the project. Among many of our projects that are characterized by single-unit, multi-story buildings, this is the one with relatively large volume. 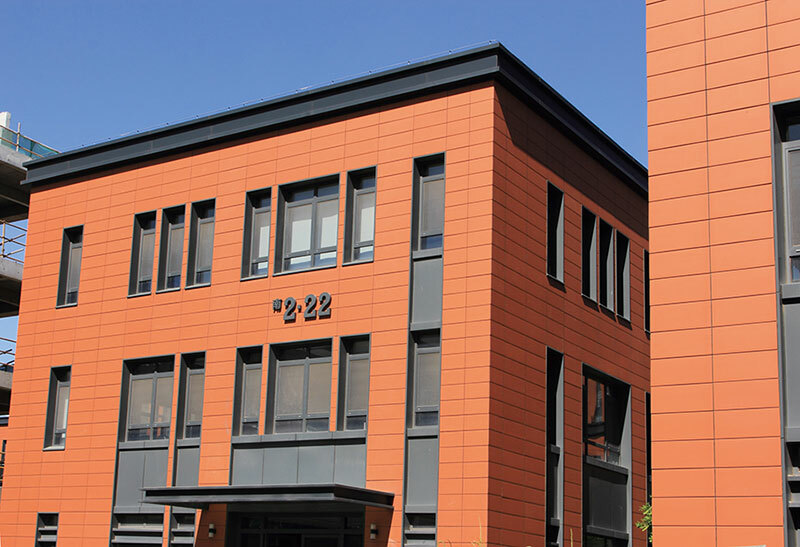 These single-unit buildings include a variety of different types, namely, office buildings, villas and commercial plazas, but they all have chosen terracotta panel as their exterior cladding materials. 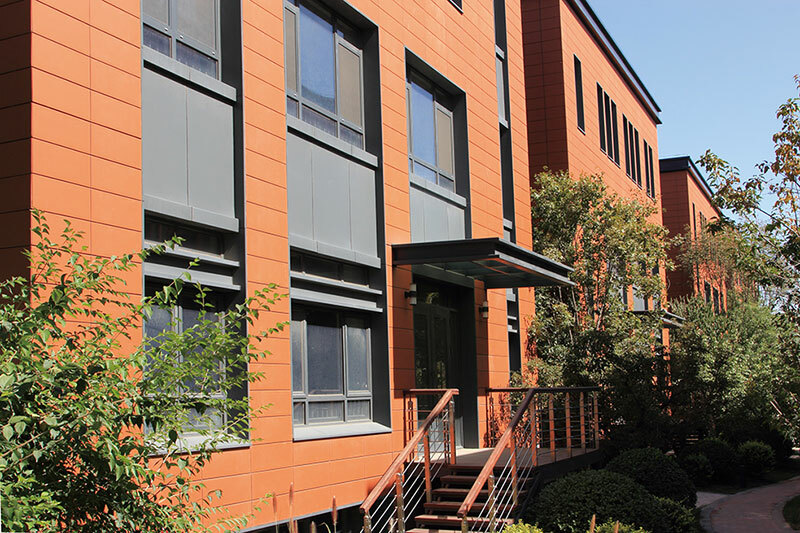 Compared with the traditional aluminum alloy and stone-made exterior wall, the terracotta cladding made of natural clay is more eco-friendly and durable. 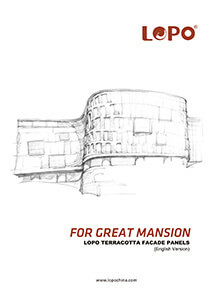 As a saying goes, “when the clay gets into the kiln, there is only one color; when it is taken out of the kiln, numerous colors possibilities are rendered.” With thousands of years of history, this terracotta cladding product can achieve extremely rich color options under the advanced kiln firing technology. It brings a very unique and gentle texture to the building facade. With different shapes and surface finishes, it can accommodate the design needs of different types of construction projects.